**Please note that every effort will be made to respond to all "Ask the Vet" submissions in a timely manner, usually within 5-10 business days. All submissions received after-hours and on weekends or holidays will not begin to be addressed until at least the next business day. "Ask the Vet" does not replace your relationship with your veterinarian nor is it intended to be a substitute for veterinarian services, emergency or otherwise. It is only intended to address questions related to AniMed™ Products. Dr. Clara Fenger has been providing us with her technical support for our animal supplement products and product formulations since 1999. She has designed and implemented studies evaluating safety and efficacy of new animal products for FDA approval, solving the life cycle of Equine Protozoal Myeloencephalitis (EPM) and has published in scientific journals on subjects from exercise physiology to the benefits of animal supplements. 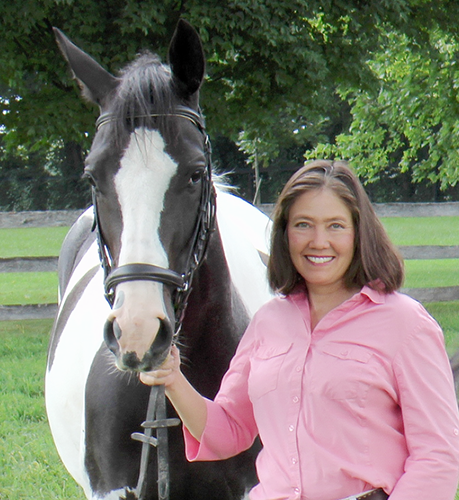 Her current practice focuses on performance horse medicine, equine neurologic disease and internal medicine. Integrated into her practice are alternative therapies, including acupuncture, chiropractics and nutritional therapies.